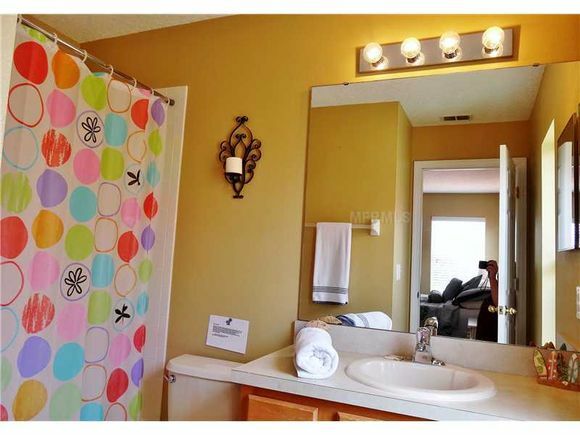 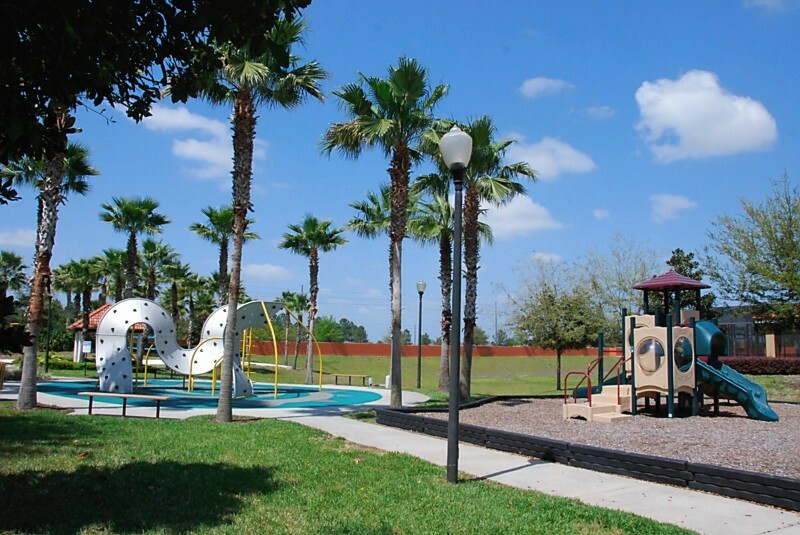 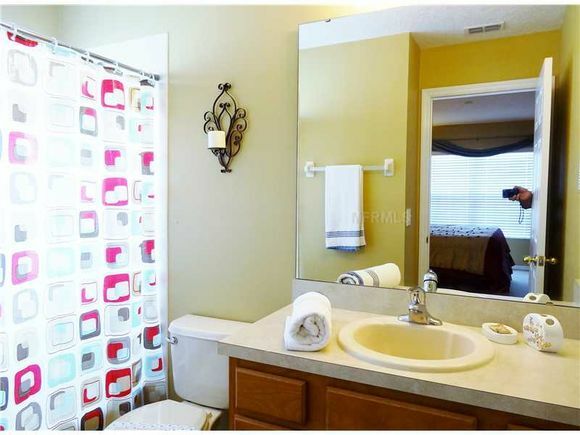 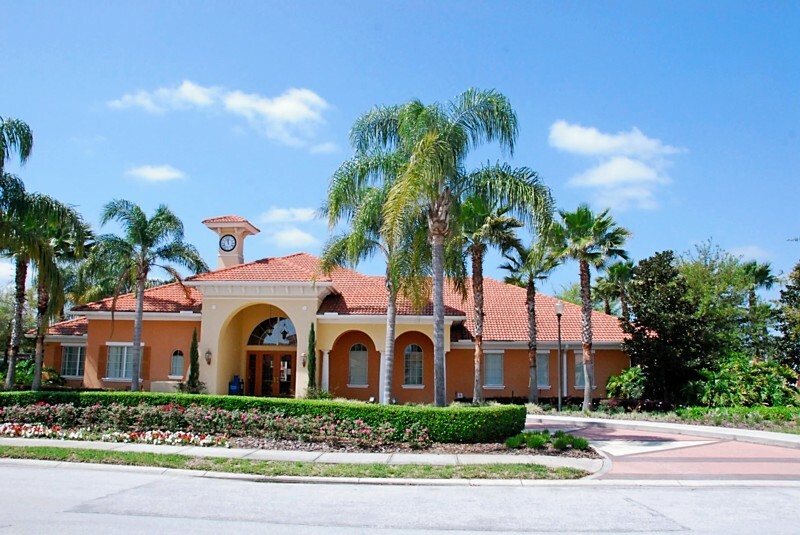 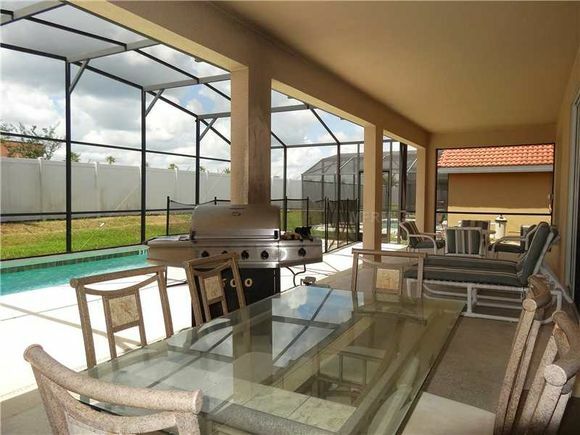 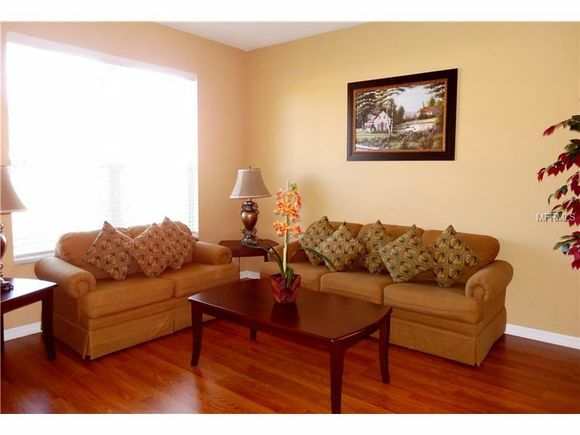 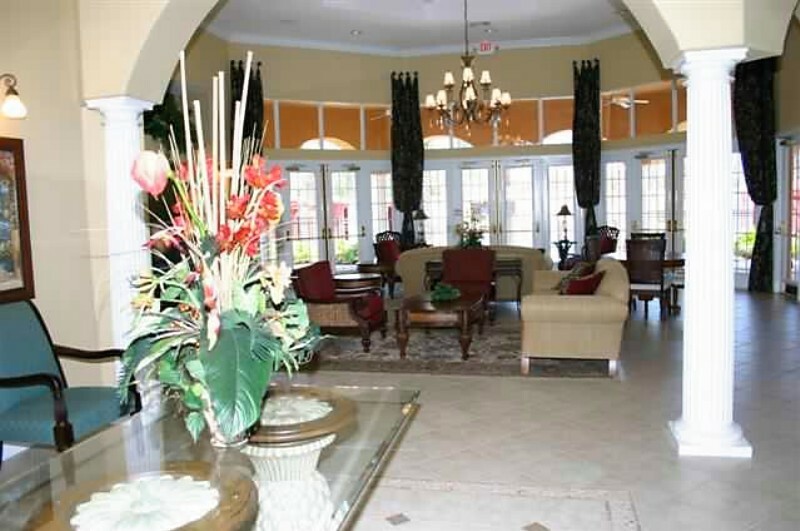 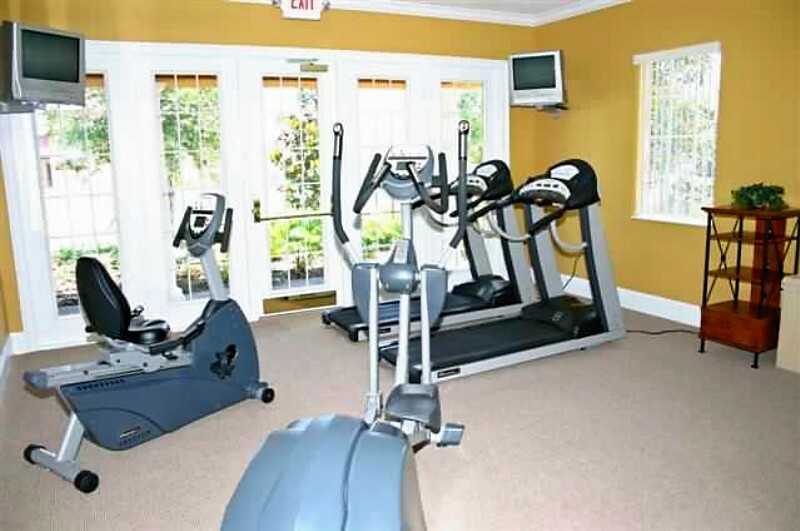 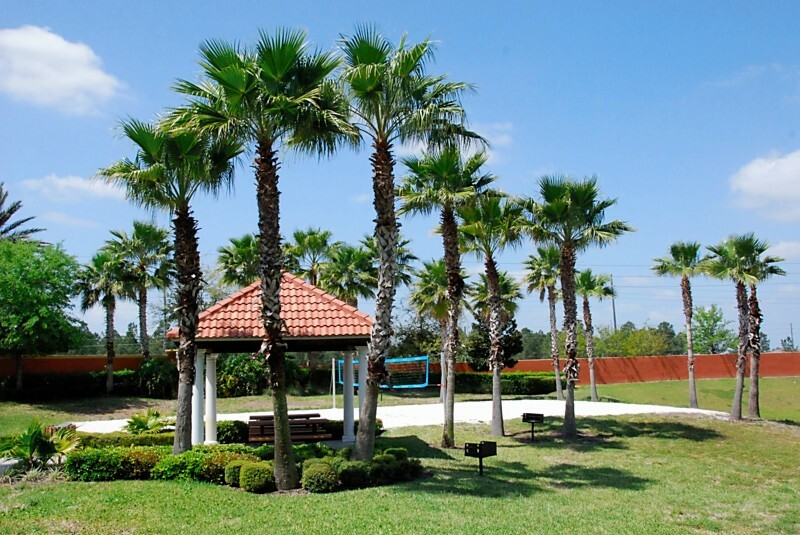 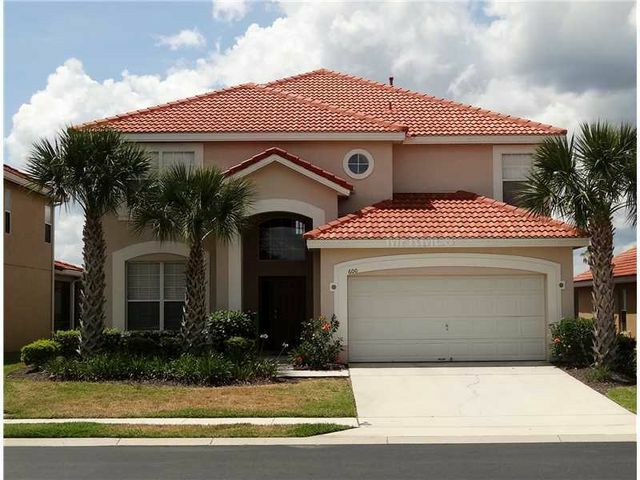 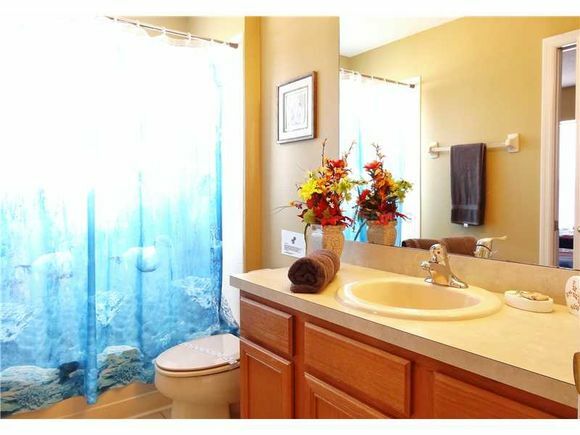 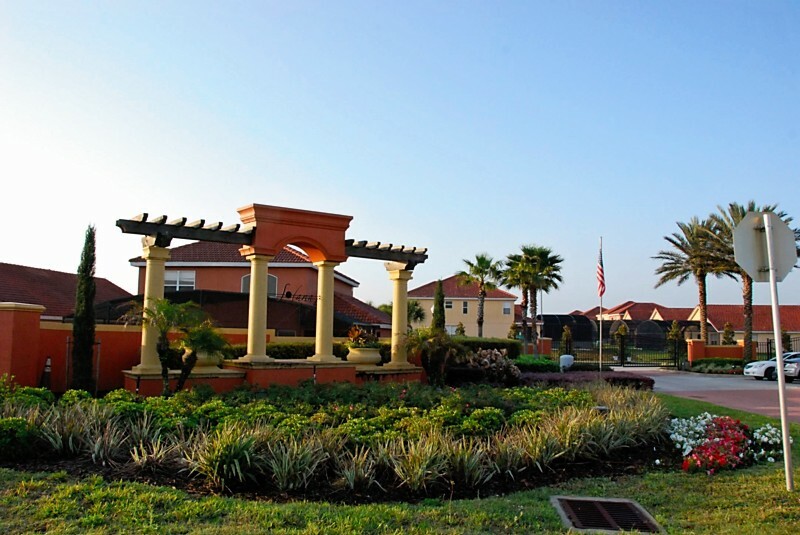 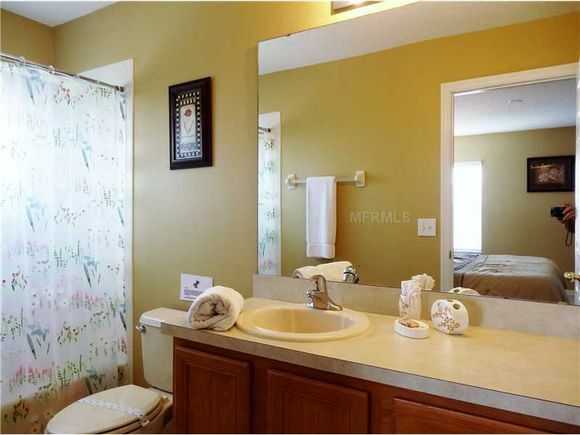 Solana Resort is one of the most popular developments for rental homes in Disney area. 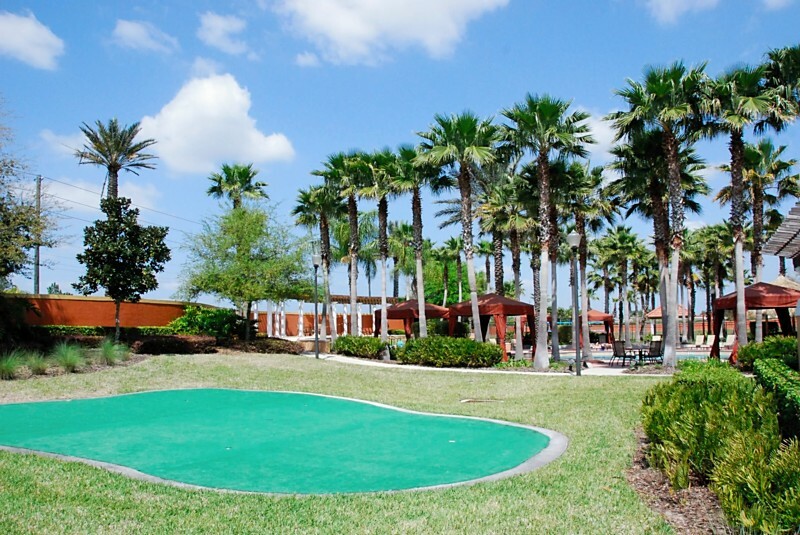 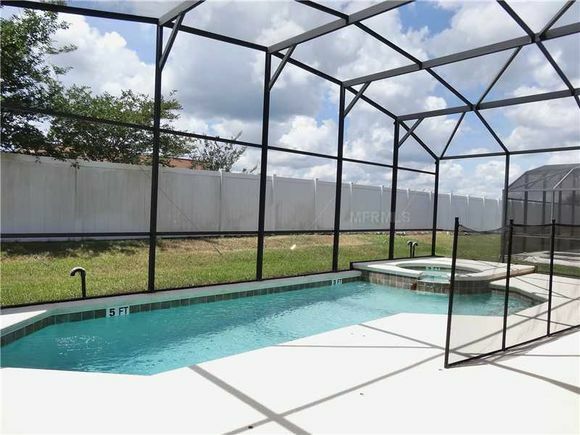 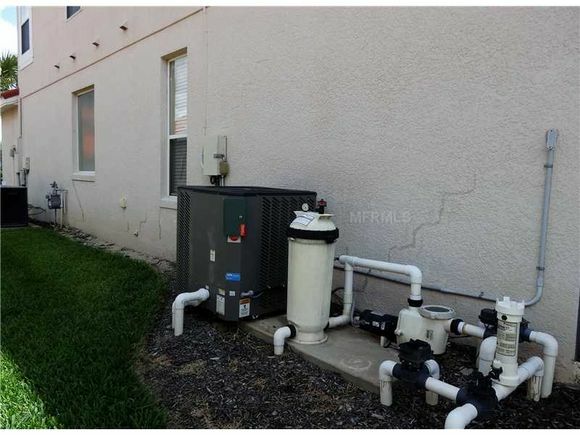 A gated development with a clubhouse, complete with a community pool, gym, childre's play ground, volleyball court, game room, internet room, ping pong table and guest services. 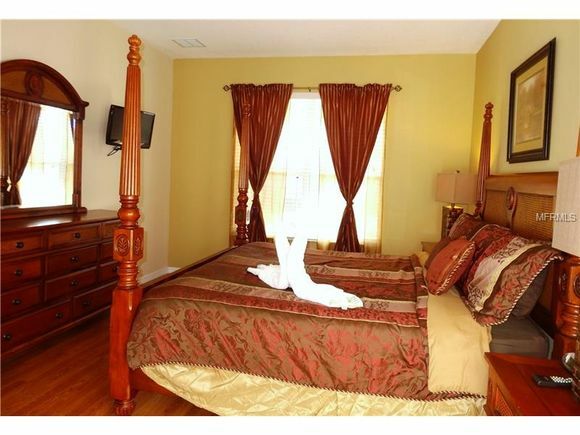 This luxury 6 bedroom and 5 bathroom villa features the 1st master bedroom downstairs with a king size bed, roman tub and TV. 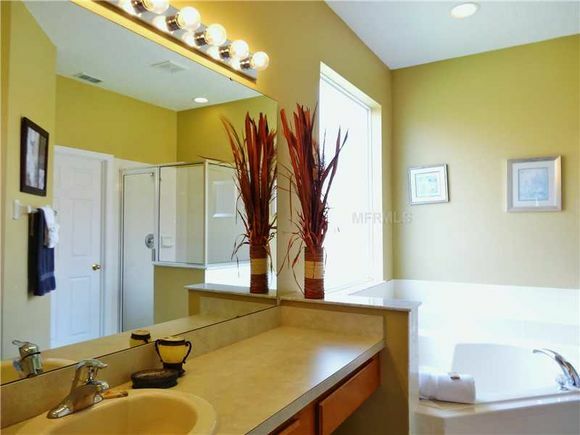 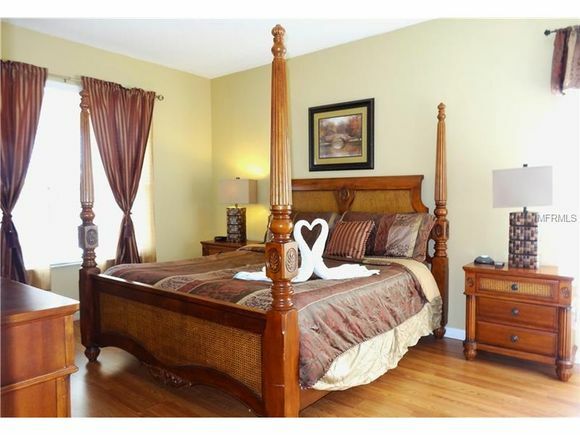 Upstairs you will find 5 bedrooms, 3 of which are master bedrooms, all with en suite bathrooms and TV. 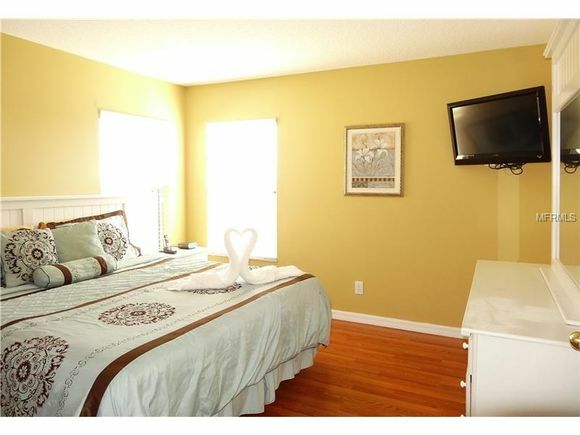 There is the 2nd master bedroom with a king bed. 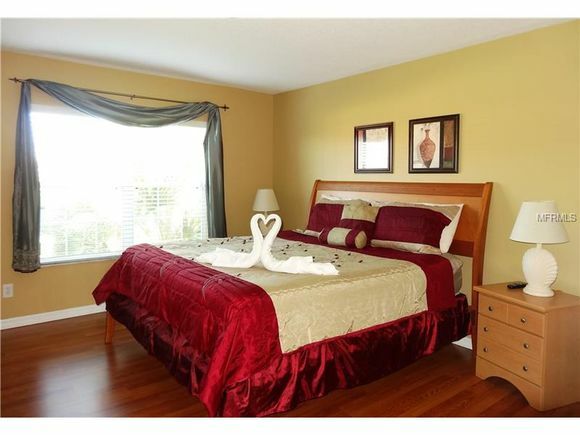 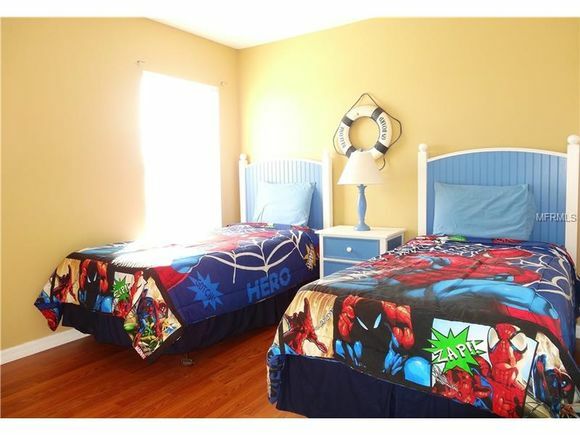 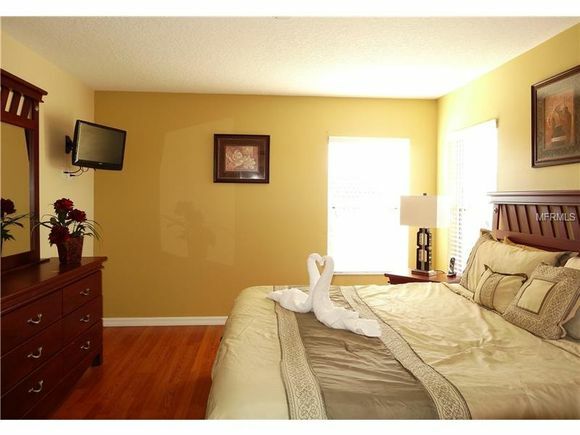 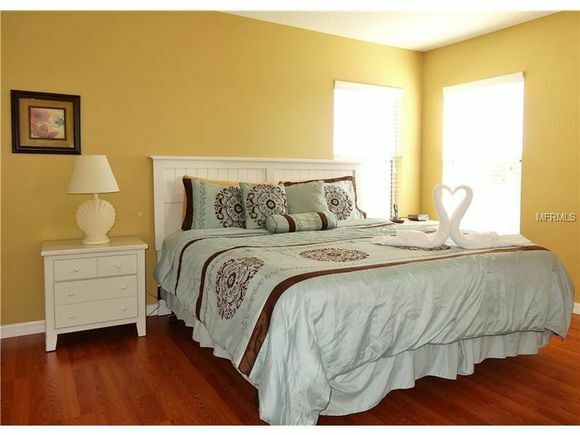 The 3rd and 4th master bedroom have king beds. 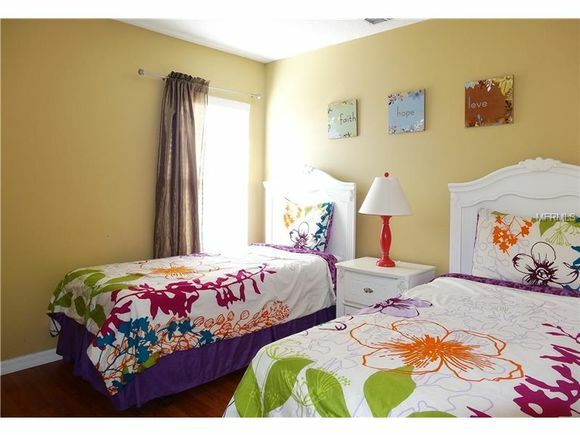 The 5th and 6th are twin rooms. 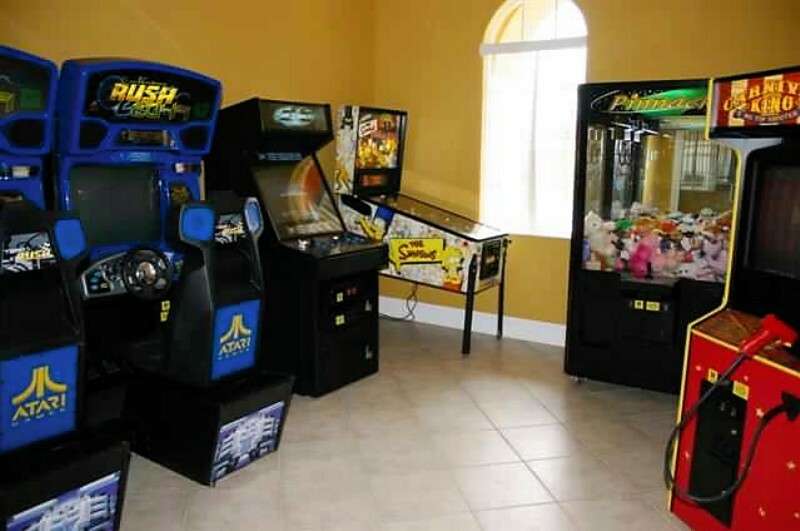 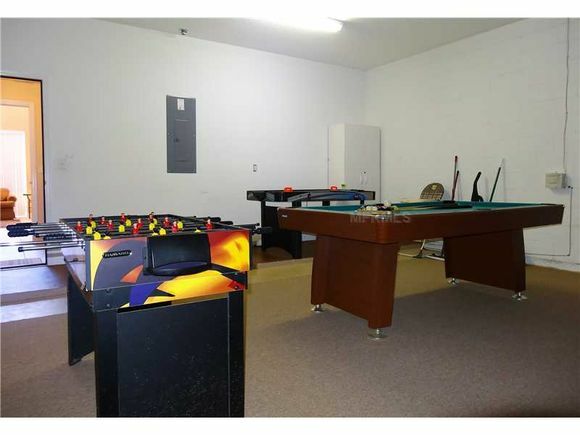 The game room has a pool table dart game and TV. 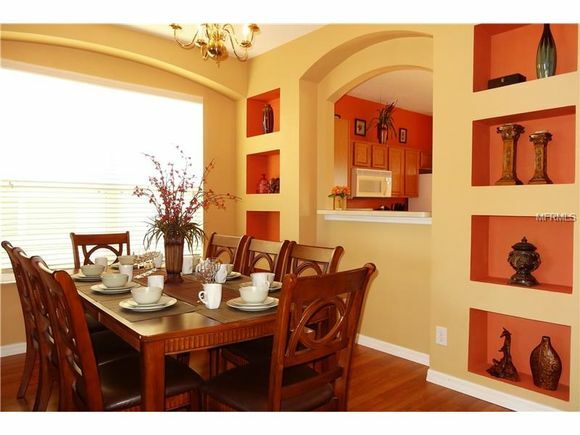 The formal dining table sits 6 people and formal living room sits 5 people. 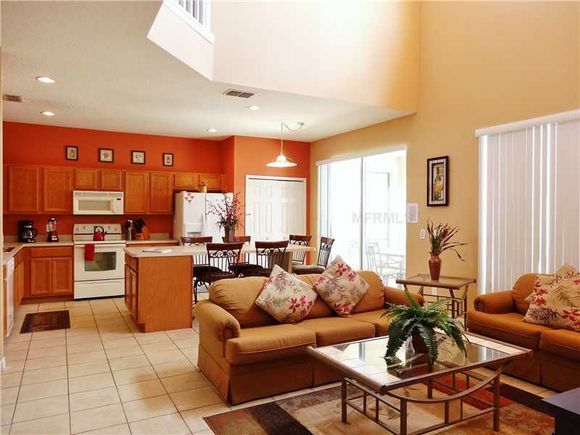 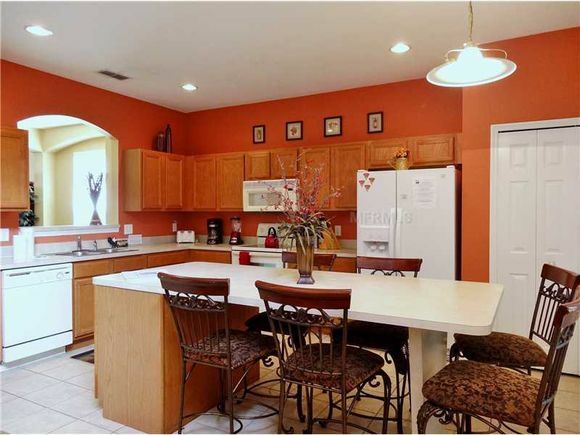 For a more casual meals & entertaining there is a breakfast nook and family room with a flat screen TV. 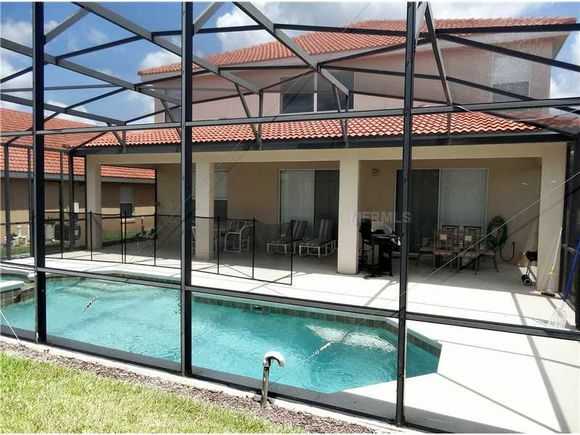 Covered lanai and south facing, heated pool and spa allow you to relax and enjoy gorgeous Florida sunshine all year long. 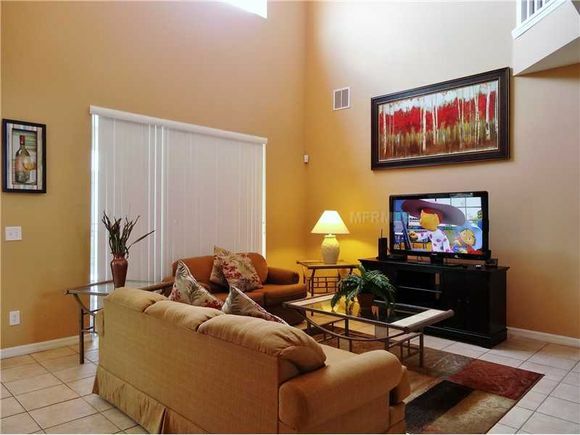 This villa also features free cable TV with over 50 channels, free wireless cable internet access, and free national and international (over 60 countries) calls for your entertainment and connection to the world.